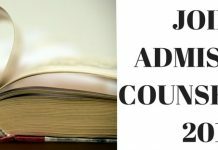 JAC Delhi Cut-off 2019 will be released by the Joint Admission Counselling Committee, Delhi. The cut-off will be released for each round of seat allotment. Applicants must score equal to or above the released cut-off in order to have a higher chance for admission. Cut-off of JAC Delhi 2019 is the minimum marks required by an individual to get a seat in any of the participating institutes. The authority will release a separate cut-off for each of the participating institutes. Also, the JAC Delhi 2019 Cut-off will be branch and category specific. The admission authority will prepare the cut-off considering several factors. Applicants can have an idea about the JAC Delhi Cut-off 2019 by referring to the previous years cut-off. The total number of seats available for the particular discipline of B.Tech course. The authority will conduct 6 round of JAC Delhi Seat allotment 2019. Candidates need to register for participating in the seat allotment process. The registration can be done using email id, phone number, and JEE Main details. At the time of registration, applicants need to fill the choices of branch and college as per their preference. The seats will be allotted to aspirants on the basis of the choices filled and JEE Main 2019 All India Rank. If there are vacant seats after completion of all the six rounds of the seat allotment, then a Spot Round will be conducted. For this Spot round, the admission authority will accept new registration. 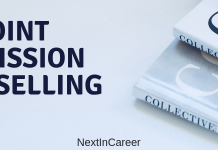 Joint Admission Counselling Committee, Delhi will reserve some percentage of seats for Schedule Tribes, Schedule Castes, and OBC-NCL category applicants. This reservation of seats will depend on the category-wise merit list. The seats reserved for these categories will not be available for aspirants belonging to any other category. The concerned authority also reserves seats for candidates who belong to Delhi or outside Delhi. From the total number of seats, 85% seats are reserved for aspirants belonging to Delhi region while remaining 15% are reserved for applicants belonging outside Delhi region. The closing rank of JAC Delhi Cut-off for the years 2016 and 2015 of Indraprastha Institute of Information and Technology, Delhi are illustrated in the table below for based on JEE Main 2019 All India Rank with and without the Bonus marks for different branches of B.Tech course offered by the institute.